Some Chinese consumers tend to think that extra virgin olive oil is good only for making salad dressings but not very suitable for Chinese cuisine that typically involves stir-frying, deep-frying and BBQ-ing. In fact, scientific studies suggest that virgin olive oil can withstand high cooking temperatures due to its high smoke point. Let’s reveal some myths about frying with olive oil. Not all types of cooking oils are equality stable. Most vegetable and seed oils, including olive oil, soybean oil, sunflower oil, peanut oil, and corn oil contain unsaturated fats — monounsaturated fatty acids (MUFA) and polyunsaturated fatty acids (PUFA)— in different proportions. MUFA are more resistant to oxidation and heat than PUFA, according to many scientific studies. Cooking oils typically used in China, including soybean oil, corn oil, sunflower oil and peanut oil, have high levels of not very stable PUFA and often undergo chemical refining that reduces the content of healthy nutrients. In contrast, olive oil is rich in monounsaturated fatty acids (MUFA) and antioxidants, which makes it actually very stable for frying. 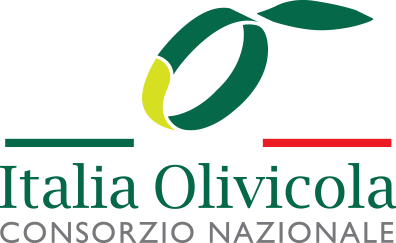 Recent scientific studies suggest that extra virgin olive oil can withstand high cooking temperatures due to its high smoke point (the temperature at which oil starts smoking) reaching up to 210 ° C.
In this regard, olive oil is a great oil to use in Chinese cuisine, more suitable, in fact, than many other oils we may use regularly. However, after being heated for a very long time or frequently reused (as it often happens in fast food restaurants), the nutrients in any oil start to gradually deteriorate generating harmful trans-fats. Thus, indulging in deep-fried street food is not a very healthy eating habit in the first place. As you can see from the table, refined oils have a higher smoke point than unrefined ones, and therefore are commonly used for deep-frying. However, this procedure has certain drawbacks. Firstly, refined cooking oils inevitably lose some nutrients and vitamins. Secondly, many refined oils also undergo hydrogenation or partial hydrogenation process to make them more stable for frying and increase storage period. These industrial manipulations may generate a higher proportion of harmful trans-fats in the product. Fully hydrogenated oils essentially become saturated fats. The bottom-line is to choose high-quality olive oil to cook your family’s favourite dishes and try not to grab deep-fried street food too often. Beets and extra virgin olive oil are both wholesome foods, full of antioxidants that help to enhance the immune system. Directions: Preheat the oven to 180 ° C. Slice the beet, cover it with extra virgin olive oil and put it into the oven. Bake for 20 minutes, then turn the beet slices over and heat for a further 10 to 20 minutes. Sweet potato is both tasty and full of fibre. Extra virgin olive oil can be used to cook sweet potato, making it crispy without getting greasy. Kids will love this healthy snack! Ingredients: 1 sweet potato, salt, pepper and extra virgin olive oil, a bowl of water. Directions: Preheat the oven to 180 ° C. Peel, wash and cut the sweet potatoes into strips. Put the sweet potato strips into water and soak for a while, then drain. Cover the sweet potato strips with extra virgin olive oil and put them onto an oven tray covered with tin foil. Bake for 15 to 20 minutes, remove from the pan and sprinkle with salt and pepper. This dish might sound like it’s straight out of a children’s fairytale, but it’s actually a great recipe for lowering blood pressure and blood glucose. Straw mushrooms are small, dense mushrooms with an egg-like shape, while shepherd’s purse is a leafy green vegetable in the mustard family. It’s a soup recalling the promise of summer's pleasures. Ingredients: Fresh straw mushroom (200 grams), shepherd's purse (50 grams), lean pork (50 grams), ginger, salt, and extra virgin olive oil. Directions: Wash the straw mushrooms and cut them into slices. Cut the shepherd's purse and ginger into strips, and mince the lean pork. Pour some cold water into a casserole pot, add the ginger and boil. Add the extra virgin olive oil and mushroom slices to the pot and stew for 2 minutes. Add the pork and shepherd's purse and stew until fully cooked. Add salt to taste before serving. Healthy and delicious, garlic broccoli contains three ingredients that are rich in antioxidants: garlic, extra virgin olive oil and broccoli. Ingredients: 200 grams broccoli, 4 to 5 cloves of garlic, salt, pepper and extra virgin olive oil. Directions: Chop the broccoli and the garlic. Put the broccoli into boiling water for 1 minute, then dip into cold water- this stops the broccoli from turning yellow. Add extra virgin olive oil into the pan and fry the garlic for 2 minutes after the oil became warm. Add broccoli into the pan, stir fry for 3 minutes. Add salt and pepper. Roasted potato and beef is a famous dish in China. Extra virgin olive oil can tenderize the meat and the make the dish healthier. Ingredients: Beef, potatoes, garlic cloves, carrots, peas, extra virgin olive oil, salt, soy sauce and sugar. Directions: Heat the pot, then add enough extra virgin olive oil to cover bottom of the pot. When the oil is warm, add the beef and stir fry. Add the cubed potato and carrots, garlic, and peas. Add the soy sauce and a little sugar. Stir fry, mixing thoroughly until the beef is evenly coated with sauce. Add enough water to cover the potatoes, carrots and beef. Reduce the heat to low and cook until almost all the liquid has evaporated. Add salt to taste before serving.